Elizabeth Raffald was an Amazing Women and you can follow her history from a number of our local railway stations …. 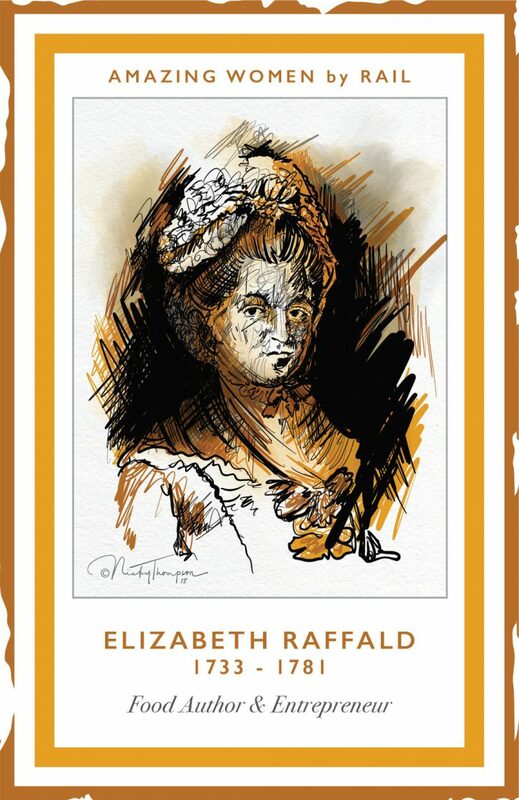 Elizabeth Raffald (1733-1781) was a business woman and writer and born in Doncaster. 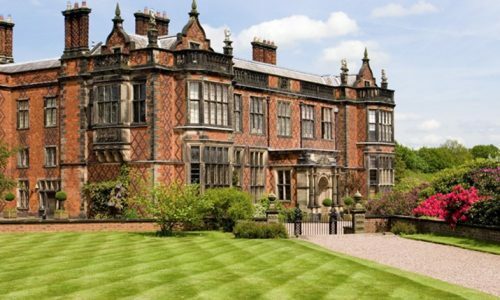 Elizabeth worked as a housekeeper at Arley Hall, near Northwich. She worked alongside her husband John Raffald, the head gardener. Elizabeth worked at the hall for three years and had a close relationship with Lady Elizabeth Warburton. In 1763 the couple left Arley Hall as married servants were not allowed to be employed there, moving to Manchester. Elizabeth’s book, The Experienced English House Keeper was dedicated to her former employer, Lady Warburton. In 1763 Elizabeth and her husband moved to Manchester where she opened a confectionery shop. Elizabeth also ran a cookery school and outside catering business. Later, she set up a servant’s employment agency and produced the first Manchester and Salford trade directory. Her book The Experienced English Housekeeper was a best seller. Elizabeth Raffald’s nephew, George, built the Arden Arms in Millgate (SK1 2LX) which is still open. “Elizabeth Raffald. 1733-1781. Author, innovator, entrepreneur, benefactor whose family built this pub in 1815 and who lies buried nearby in St. Mary’s churchyard. Wrote the “The Experienced English Housekeepr in 1769”. Elizabeth is buried at St Mary’s, Stockport’s Parish Church, in an unmarked grave. 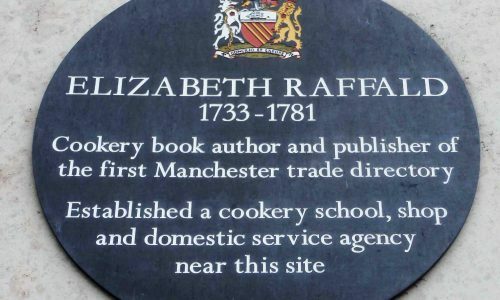 When visiting Manchester, as you go past Marks and Spencers (M1 1WT), look out for Elizabeth Raffald’s blue plaque. 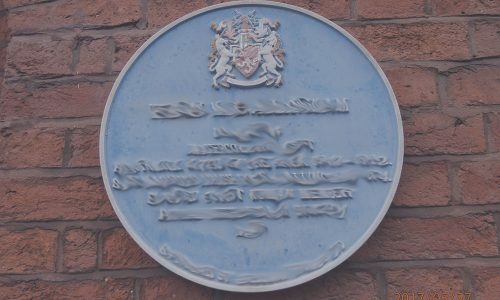 A blue plaque originally marked the site of the Bulls Head pub which Elizabeth ran on Market Place in Manchester. The plaque was replaced in 2011 with a new black version on the Marks and Spencers Building, 7 Market Street.